There’s no denying that when you first jump into Cosplay, you hear about a lot of amazing materials. From your usual fabrics, through to sequined dress materials – And then there’s the foams and thermoplastics. I’d wager you’ve seen a cosplayer at some point in your life and have wanted to, or have asked them “What is that made out of?” No doubt, their answer will have been either insightful, or hugely confusing depending on the material used. Whilst I could sit here and list out every single type of material in the world, that’d take a rather long time. I’d also wager that you’d lose interest very quickly. As such, today I think the focus is going to be on getting you up to speed with the different types of material. I think it’s best to let you know how they’re used, what they’re used for, how much they typically cost and where you can get the materials from. 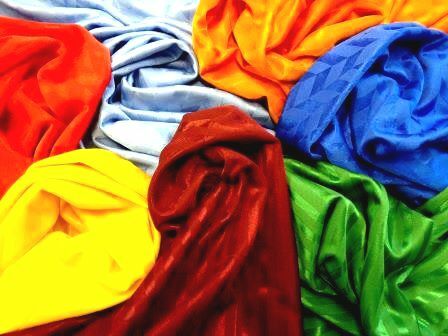 And of course, there are many, many more types of fabrics out there. Fabric is best sewn; you’d probably not want to bother sticking fabrics together with glue, but on a rare occasion that might be required. Nevertheless, a good sewn bit of fabric will last a long, long time. I always find that sewing is one of the strongest bonds you can make, so do go and learn how to do some basic sewing. Thankfully, it’s not too difficult, so long as you can tie a knot! As a final aside about fabric, you’ll need to locate a good local fabric store. Here in Bristol, we have a shop called Fabricland, which is genuinely excellent. Mind you, on an odd occasion, I am known to go to Hobbycraft, if I just want some scraps. Scraps are worth keeping for trials, or even to use as part of another costume. When you buy fabric, you usually buy it by the meter. If you go to a shop like Fabricland, you select your fabrics and take the whole damn roll up so they can cut it for you. Trust me, fabric rolls are huge! This is a worthwhile lesson, as I once took 4 fabrics up for one costume, so if you need lots of different fabrics, take a friend! Naturally, fabrics range in price quite drastically. I’ve seen some fabrics as expensive as £50 per meter, but typically a good bit of fabric will set you back between £3-£6 per meter. Let’s start with a disclaimer: I’m still not fully sure on the uses of every different type of foam. 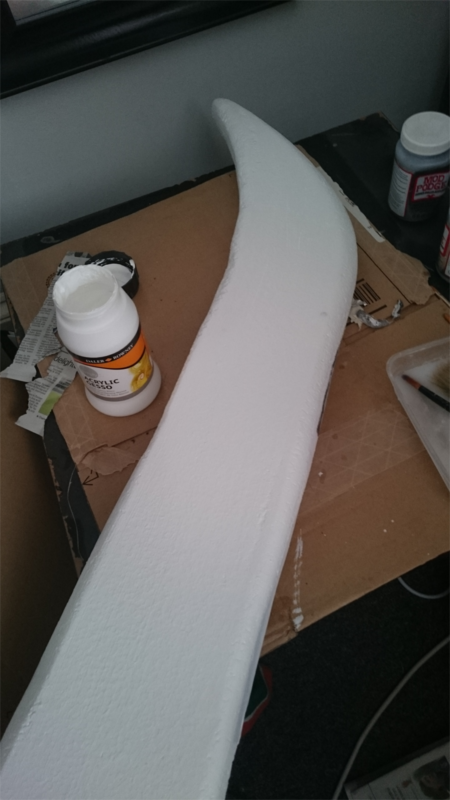 Foam is one of those magical catch-all substances which can do a lot for a costume. When I gave you some resources to check out, one of the websites was Punished Props – and they do so much with foam, it’s honestly incredible. 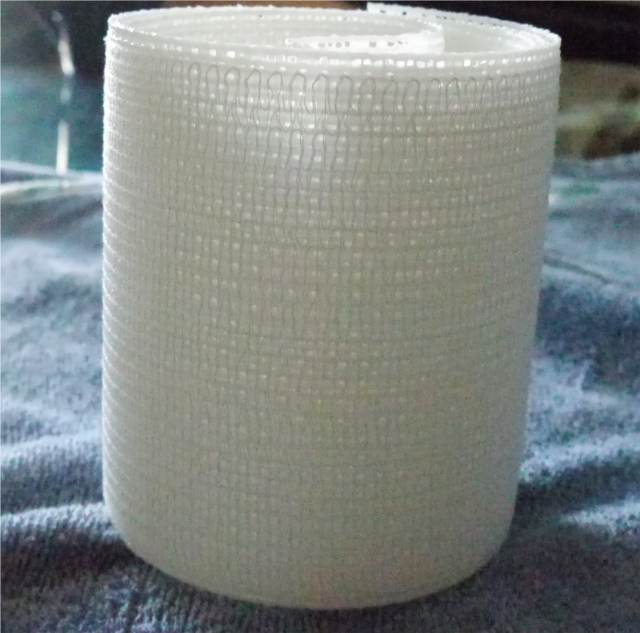 Craft Foam – Get this from any craft shop. Sometimes referred to as Fun Foam. It’s made for kids crafts, but in cosplay it can be used for some excellent detail work. Fun fact: Iron it – It’ll look leathery! It’s very reactive to heat, you can sew it together, you can glue it together. You can draw on it and mark it easily that way, too. The only ‘downside’ to craft foam is the fact it’s usually very, very thin. You can find thicker ones, though. Expect to pay approximately 50p per sheet, or £2-£3 for a pack. EVA Foam – These are usually one of two things. You either get a large roll, which you’d probably have to buy online or from a DIY shop; or you get a pack of sheets with interlocking tabs. 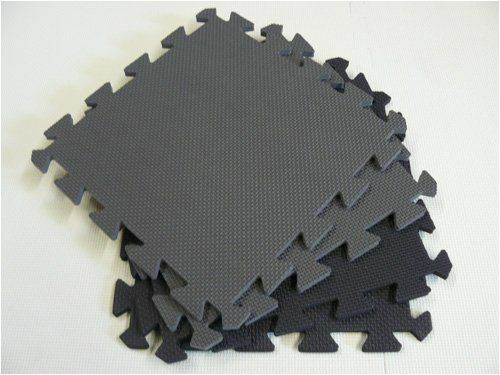 These are usually used as foam floor mats, for yoga and much more. You can get this in any craft store, or even in places such as Halfords if you’re desperate. This is thick, but it’s ideal for anything from armours to helmets. The roll can set you back £9.99. A pack of flooring foam can also cost up to £9.99, but you do get about 8 sheets usually. Expanding Foam – No, not a fire extinguishers foam. Expanding foam (or spray foam) comes out of a spray foam gun, which you can pull the trigger of and unleash a righteous fury of foam. It’s fun, but damn is it messy? It comes out usually a sort of weird yellowish colour. It’s relatively squidgy once it hardens up, but all in all it’s a very good, solid material that works wonders when sanded into a shape. Be forewarned, it gets very messy. This is best used for props and you will need to work with papier mache or thick glues to get this smooth. A foam gun can set you back £10-£15, whereas a can of expanding foam can cost you £5-£8 per can. With the foam gun, it’s a one-and-done investment, at least. 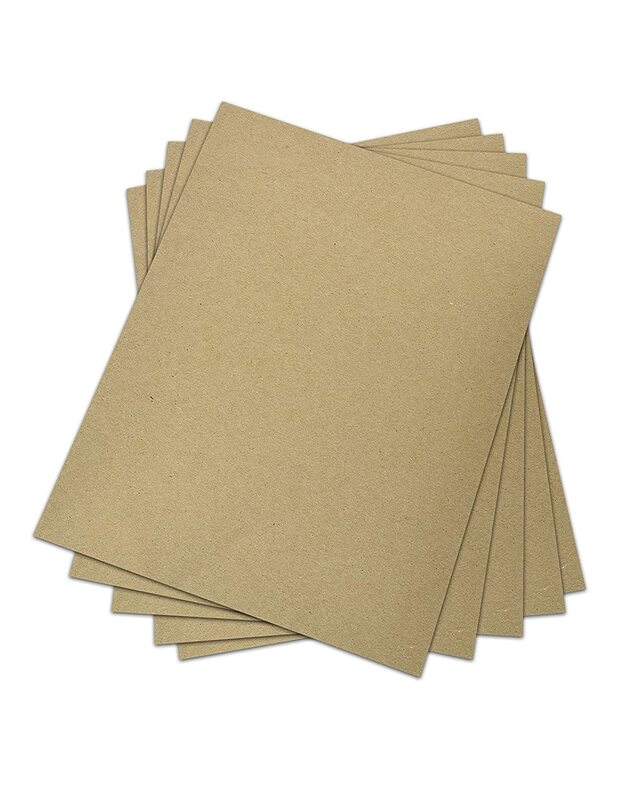 Foam Board – Sometimes called Foam Core. Foam Board is typically big and smooth, coming usually in either black or white. They are basically two bits of thin card, with foam in the middle of it. You can cut this stuff easily with a craft knife, but don’t you dare try it with scissors. This is best used for props that don’t require any real bending or turning. It made for an excellent scythe head. You can pick this up from any hobby store, or from Amazon or eBay. I’d recommend eBay actually, as you can usually pick up a pack of these for a huge discount! 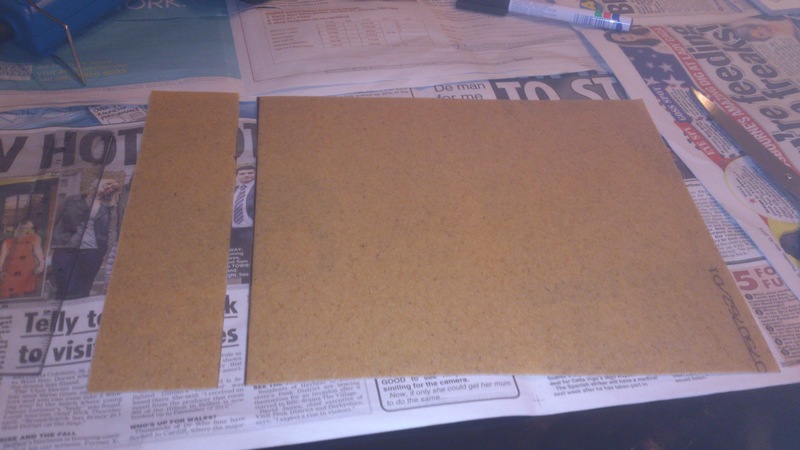 A Foam Board can set you back between £3-£8 depending on the size of the board. There are, of course, other types of foam as well. I thought I’d give this a section unto itself, as really it does need it. Extruded Polystyrene (XPS) is awesome, but hoo boy is it messy? Normally, this type of foam is used for insulation. In fact, I got mine from Wickes (a major DIY store here in the UK). I used the insulation foam to make Tessaiga, which was probably just 10% cutting, 90% sanding. You can glue it, but be careful of the types of glues that you use. For instance, a hot glue gun may melt polystyrene. Just be careful. Oh and this stuff won’t set you back too much. I got a pretty big sheet for just £4.50, so honestly, it’s cheap and it’s durable. Just be prepared to do a lot of sanding. Now you’re talking! This stuff is amazing, but first time users are always shocked by how odd it is to work with. It’s easy enough to use, don’t get me wrong, but I will tell you that you’re going to make a lot of mistakes early on. Fortunately, since I started cosplaying, the price of thermoplastic has seemingly gone way, way down. The major (and now cheap enough) brand is Worbla’s Finest Art. Now, you can pick up a roll for £30, which sounds like a lot, but honestly you can get a lot of use out of it. The interesting thing with Worbla is reusability factor. You can cut it up, heat it together and into a hardened shape, then re-heat it and do it all again. Worbla is amazing, but it’s not the only Thermoplastic out there. Furthermore, for smaller projects, say a wristband, you can get an A4 sheet for less than a fiver. It’s specialist, but you can get it from Amazon or the UK’s favourite supplier* for cosplay crafts, Coscraft. If you’re interested in knowing a bit more about Thermoplastics that aren’t Worbla, then check out this post by Arizona based pro-cosplayer, Amber Brite Props. *The popular opinion seems to be that Coscraft are one of, if not the UK’s favourite cosplay dedicated online shop. This is based on hundreds upon hundreds of reviews from cosplayers at conventions. Okay, there’s a rule in Cosplay, which basically states “The prop must break before it breaks a person”. What they mean by this is you cannot have something made out of solid metal, or a thick oak. If somebody were to yank your staff, sword or whatever off of you and whack another person across the head, you don’t want the person to be hurt. I bring this up because wood is an excellent material which produces some of the best results for props, especially for weapons. However, I wouldn’t recommend many different types of wood. I’d probably, especially for a beginner, recommend plywood. One thing to be careful of with plywood – It can get really heavy… And some conventions don’t like that. Be extra vigilant about what conventions you’re going to with big wooden props, because they must be checked by convention staff. You can get plywood from any good DIY store and it’ll vary depending on size. Naturally, you’ll want to speak to your local DIY store, or hey, a timber merchant as they may give you a better price. Furthermore some places might even give wood away for free, so do be on the lookout for the stuff. Whilst it’s true that many more types of materials exist out there, I’d wager this more or less covers all of the main ones. However, is there a type of material I’ve not covered? Do you think we should cover more materials? Let us know your thoughts in the comments below, or over on Facebook and Twitter. Join us again next week, when we will be checking out different ways to put your costume pieces together. This entry was posted on July 6, 2018 by Timlah. It was filed under Cosplay posts and was tagged with beginners cosplay, Beginners' Guide, Cosplay, fabrics, foams, guide, How to cosplay, materials, styrofoam, Thermoplastic, what materials are used in cosplay, Worbla, XPS vs EPS.